What is Sky, Water, Earth? Who is supporting Sky, Water, Earth? Each playlist badge is worth certain number of points. Click on the playlist badge to see how many points each badge is worth. Once the Community Instructors have evaluated your playlist submissions, you will be awarded the badge and the associated points. You can redeem your points for any of the opportunities listed below. Your badges are yours to keep forever, but be aware, the points are valid until December 31, 2018. Be sure to earn enough points and redeem them before the reset date. Keep an eye on the number of opportunities still available. As other learners redeem their points, the number of available spots will diminish. And remember, some opportunities are time sensitive, so be sure to earn enough points in time! Behind-the-scenes access to the H.R. MacMillan Space Centre. Gain an unprecedented behind-the-scenes half day access to the H.R. MacMillan Space Centre. You will see how the interpreters prepare for a show in the planetarium; ask how the Learning Director designs educational science programming; and find out the research the astronomers are working on. Accompany an Aquarium interpreter to learn more about an endangered species: the African penguin. You’ll spend time exploring around their habitat, learning about the seven individuals who we have the opportunity to take care of. Then, go behind-the-scenes to see the fishy side of taking care of penguins. 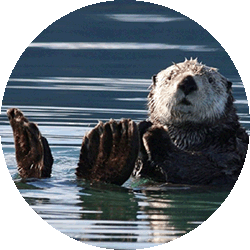 Accompany an Aquarium interpreter to learn more about sea otters. You’ll spend time in the Animal Encounter room, learning why these animals are so important to their ecosystem. Then, meet with a member of the marine mammal staff to learn about animal care and feeding. Finally, prepare yourself to get closer to the animals as you help with an otter training session. Guided by an Aquarium interpreter, you will learn how the sea lions at the Vancouver Aquarium are helping researchers piece together why these majestic animals are disappearing in the wild. Then, meet up with a sea lion trainer and head to a rarely seen, behind-the-scenes sea lion area. 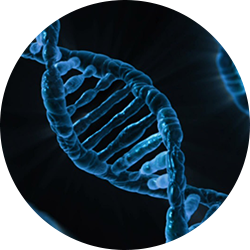 Visit the high-tech AMBL lab space and check out your own genomic DNA by engaging this full-day, hands-on PChain Reaction experiment. Explore the potential of isolation and replication procedures, and visualize your results with a DNA gel. Date/Time: To be arranged. Offered one time in both winter and spring semesters. Perform a next-gen sequencing experiment in this brand-new opportunity at the AMBL lab space. Sequence an entire bacterial genome over an immersive two-day session, and gain advanced hands-on experience in a fully equipped biology lab. Date/Time: To be arranged. Offered one time in both winter and spring semesters as two-day sessions (full Friday and 3/4 Saturday). LinkedIn Recommendation™ confirming your participation and achievement in Sky, Water, Earth. Grab a beer or glass of wine and explore all the Aquarium exhibits after dark in a fun and social atmosphere. Plus, experience hands-on learning with marine invertebrates like sea stars, sea urchins and more in the Wet Lab. Talk to a marine biologist at the Vancouver Aquarium and understand how their career impacts Aquarium programming and our understanding of the aquatic environment. Ask questions related to research in their field, and be inspired by the challenges and joys of studying marine life. Spend time with the astronomer at the H.R. Macmillan Space Centre and explore topics related to the study of our solar system. Uncover answers to your questions about an astronomer’s role in the scientific community, and how their research contributes to the Space Centre’s educational programming and beyond. Interview a Faculty of Science Instructor at UBC and ask about everything from research findings, to program offerings, to top tips on starting an academic career in the sciences. Gain insight on current discoveries and potential opportunities from a UBC professional in a department that excites you. Thinking about grad school? Ask a UBC science graduate student "what do you wish you knew before you started grad school? ", "are good grades the most important thing to get accepted? ", and other questions you have about graduate-level studies. Meet with David Ng and discuss everything from new developments in genetic technologies to building a career in microbiology or life sciences with an expert in interdisciplinary education.